The world’s leading Western economic powers warned of fresh sanctions against Russia at the G7 summit. Led by US president, Barack Obama, they are a weak attempt at stopping Russia’s incursion into Eastern Ukraine and the escalation of violence there. Despite having the desired effect of hurting the Russian economy, discord in the West and Russia’s continued access to the global financial system means they lack bite. Western sanctions were first imposed on Russia following its annexation of Crimea in March 2014. The initial diplomatic measures (visa bans and asset freezes) were soon followed by more direct financial restrictions. Western financial institutions are not allowed to lend to Russian counterparts on a mid to long-term basis, effectively isolating Russia from Western capital markets. The rationale behind the ch oice of economic instruments to pressure the Kremlin has been based on a straightforward assumption. The Russian economy – critically dependent on oil and gas revenues (which together comprise about 72-75% of the country’s exports) – is unable to withstand the economic pressures of low oil prices and financial draught. The internal economic crisis in Russia, in turn, is calculated to generate two effects. First, it will prove too costly for the Kremlin to continue military involvement in Ukraine. Second, falling incomes and rising inflation will also weaken popular support for Putin and his rule and may bring about a change of policy (or leadership) in Moscow. 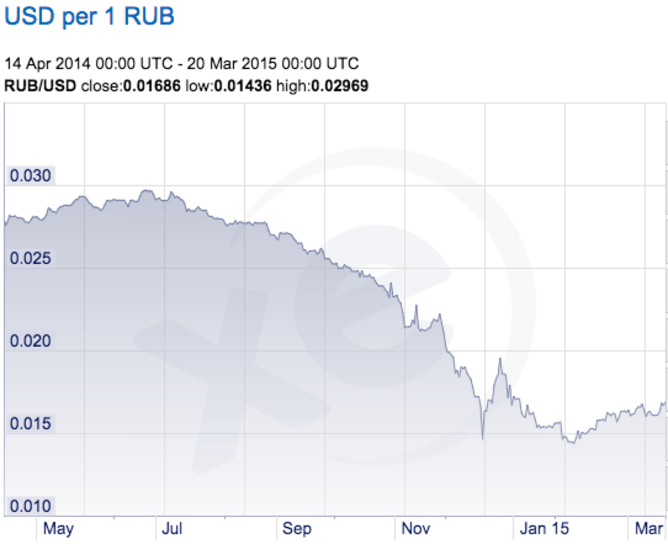 A look at the state of Russia’s economy indicates that Western sanctions are having their desired effect. Since April 2014, the rouble has lost nearly half of its value; net capital flight out of the country has doubled, reaching US$151 billion in 2014; economic growth has slowed down to 0.6% in late 2014 – at its lowest since the global financial crisis of 2009. In January 2015, Russia’s GDP contracted by 1.4%, with forecasts predicting a significant contraction of GDP in 2015. Politically, however, isolating Russia has not produced the desired change. Russia’s hydrocarbon economics is embedded in an important political mechanism. Namely, a social contract of the political regime, personified by Putin, with the population of Russia. This social contract is based on the implicit understanding that the elites maintain power by enriching themselves and diverting resources in the name of Russia’s national interests. Meanwhile ordinary Russians get wealthier through trickle down, share the patriotic drive and do not engage in active politics. Institutionalised around a vast public sector and administrative apparatus, the social contract keeps the economy fixed on exporting oil and gas. At the same time, a vast state presence has proven capable of ensuring political stability, while remaining a reliable source of rent extraction and apparent economic prosperity. Against this background, the effect of West ern financial sanctions has been one-sided. Financial isolation triggered a deep financial crisis in Russia, while low oil prices has put pressure on public channels of rent redistribution and personal incomes. The deepening financial crisis is likely to claim more casualties among banks and corporations in 2015. Indicatively, in December 2014 the Duma passed a law on personal bankruptcy to manage the growing number of bankruptcy cases. With recession already under way, most people will see their real incomes shrink further, especially if the government chooses to monetise its growing deficit in order to ease credit conditions. At the same time, the political effect of the sanctions is more ambiguous. The social contract between the Russian population and the ruling elites seems to be resilient in the face of Western pressures and international isolation. 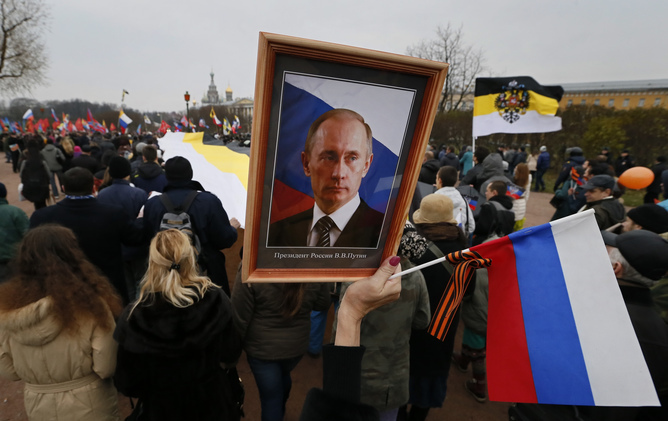 President Putin remains hugely popular, and while more and more Russians feel the effect of the sanctions on their personal lives, they do not associate the economic problems with the governance system in the country or Russia’s foreign policy stance. This is vital for the Kremlin, and it is carefully nurtured. The effectiveness of the sanctions is also undermined externally, by the very structure of the global financial system and by discord in the West on the duration and conditions of the sanctions. Politically isolated or not, Russia is part of the global financial system. The individuals specifically targeted by the sanctions rely on complex financial and legal arrangements, typically through offshore jurisdictions, to bypass the sanctions. Specifically, British tax havens such as the British Virgin Islands, Jersey and Guernsey are used by Russian business owners (some of whom are on the sanctions list) to bypass the restrictions. The workings of these complex financial networks produce interesting outcomes. For instance, Guernsey was the largest foreign investor in Crimea in 2014, accounting for 80% of capital inflows into the region. Aside from the structural problem, it is also not clear how far the sanctions can be expanded: would they be prolonged, or would they target more individuals, or both? In March 2015, the US State Department declared that US sanctions will remain in place until Crimea is returned to Ukraine. That makes US sanctions de facto indefinite. Continental Europe is divided on the issue. As Angela Merkel has said, sanctions should be relied on as only one of the methods of resolving the conflict. The UK, while adopting a harsh political stance, is open for business with Russia by accepting money that originates from Russia through its tax havens. In this instance, it seems that while talk about sanctions continue to dominate the official communiqués of world leaders, the more effective outcome of the G7 summit, and an efficient tool of dialogue with Moscow, is the Syria deal reportedly being discussed between the West and Russia. By giving Russia a seat at the table and so acknowledging its global power ambitions, the Syria negotiations may prove to be a far more effective way of influencing the Kremlin. 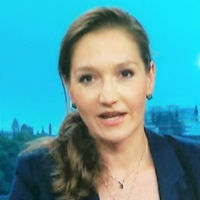 Anastasia Nesvetailova is Professor of International Politics, Director of the Glob al Political Economy MA at City University London.